STEVE PERRY'S DESIGN SOLUTIONS & CONSTRUCTION INC.
Over three decades of plan design and custom building. We do home plan design for owner builders, other builders, and for our own clients that we usually do the building for. Client-Focused Deck, Patio & Awning Designers | Best of Houzz 2018! Personalized architecture and design for the residential client or for small commercial projects where design matters. LEED accredited, Over 35 years of award winning experience. Our firm helps he owner define the needs of the project clearly and concisely and then designs according to those needs. The result is a design that meets or exceeds the owners expectations. For over 40 years we have been designing custom homes for our clients. We work hard to fulfill our clients' dreams of building a home by implementing their ideas and our experience and creativity to design an exclusive custom home. We work with expert surveyors and engineers to assure that climate and topography challenges are addressed and implemented into the design of each home. This level of design expertise creates plans that can be built in most areas of the United States. Our plans are complete and easy to read, and have been accepted and praised by building officials. Our portfolio includes house plans ranging from 500 sq. ft. to over 13,000 sq. ft. and we have thousands of stock plans available. Our goal is to put your ideas and needs into motion and create the unique, beautiful custom home that complements your lifestyle. Our office is located at 25 South Main Street, Suite 110-F, Centerville, Utah 84014. Onyx Design Collective is a full-service architecture firm focused on enhancing homes, communities, and lives. We have an obsession with perfection. We've spent the last 15 years honing our craft and developing our skills in both the artistic and technical aspects of architectural design. Our architectural staff have extensive experience in custom residential, new construction, and remodel projects. There is nothing that is too big or too small. Lane Myers has spent over 30 years increasing his knowledge and developing a sharp eye for detail, allowing him to cultivate a roster of subcontractors that see the vision and know how to execute it masterfully. Our relationships with our subcontractors are one of our firm’s biggest strengths- we have worked with most for over 10 years. You are only as good as those you surround yourself with, and that is why we surround ourselves with excellence. We recognize and appreciate quality workmanship, and continually strive for uncompromising, high-quality homes. Lane Myers and our team have developed lifelong friendships with our clients- a fact exemplified by repeat business. Lane Myers Construction has had the privilege of building multiple custom homes for various clients. In some cases, this spans generations- several families have commissioned homes with us for the parents and the children. One of the most genuine expressions of appreciation for our abilities is the number of people inside the construction trade who contract Lane Myers to build their own home. We have built over 40 homes for peers in the industry. At Lane Myers Construction, three core values guide us- quality, integrity, and teamwork. We are a small company where clients work closely with each member of the team. A portion of our clients are out-of-state during the building process, and the office team supplies each client with a continual feed of materials to keep them informed- photos, videos, drawings, and documents. Maintaining relationships with long-distance clients requires extra commitment. Additionally, Lane Myers Construction keeps our books open for full disclosure. With Lane’s experience and the rich expertise surrounding him, our company enjoys the design process, and collaboration with architects and interior designers. Together as an experienced team, we are confident we can outperform your expectations. 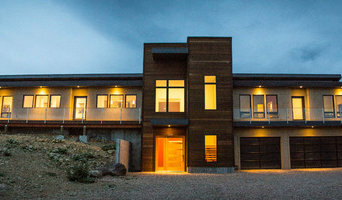 Based in Park City Utah, Broman Architects is a small firm able to give personal service on a large variety of projects. Working closely with our clients, we develop distinctive project concepts by considering the special attributes of each site and the unique needs of each specific program. We don’t have one particular Architectural Style, but work with our clients to develop a style that meets their needs, desires and lifestyle. Our objective is to take on a limited number of high-quality projects each year, and to work closely with our clients to produce outstanding results. Current projects include a number of custom homes, several major remodels of dated residences that needed to be upgraded and new additions to homes. Our services include Comprehensive Architectural Services from Design, Construction Documents, Permitting & Entitlements to Construction Administration. We provide the latest in detailed, coordinated, electronic construction documents that allow the client to visualize the project in a 3-D model. We also provide Consulting Services to a broad range of Developers and Master Planned Communities. Walker Home Design is a custom home design company, focused on designing homes that are economical to build, functional to live in and attractive to look at. We design using a construction background so that your plans cost you less to build. Walker Home Design creates designs unique to your wants and your budget. We also have several stock plans on hand should you choose to build a plan already in our inventory. 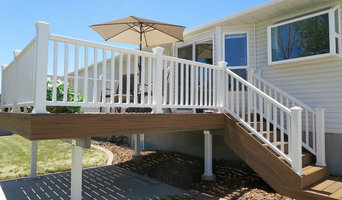 We are a quality and experienced home building team who have been in business in Utah for over 40 years. If you're looking for the best custom home builders in Utah, you have come to the right place! If you are looking for a package A, B, or C builder and a selection center where you choose all your options in an afternoon, then I am sorry to say we are not the builder for you. We are completely custom from start to finish. Custom builders have a bad reputation for being more expensive or making one go through a very stressful process; neither of these are true. If you make any changes from the packages from the production builder and start paying for upgrades, then we end up being cheaper. Don't let the word CUSTOM BUILDER scare you. One of the advantages of working with RC Dent is our ability to provide the construction financing for buyers, greatly simplifying the building process. Everything we do is to try and simplify the process for you to make your experience as smooth and enjoyable as possible.